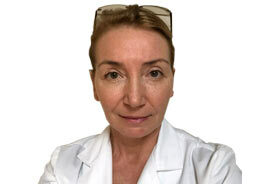 For a full range of gynecological and obstetric care, visit the Century Medical and Dental Center and ask for Irina Vozny, PA. A popular gynecologist, she provides experienced, gentle care for women of all ages. As a Physician Assistant, she’s been practicing since 1999, but she makes it a point to stay up-to-date on all the latest research and techniques. Ms. Vozny obtained her Associate of Science degree from Kingsborough Community College in Brooklyn. After that, she attended St. John’s University to obtain her Bachelor of Science degree in their Physician Assistant Program. She continues to explore new ways of treating women. She’s certified by the National Commission on Certification of Physical Assistants. She’s proud of the work she does at Century Medical and Dental Center. When you’re satisfied at the end of the day, that’s all that matters. Make an appointment with Ms. Vozny.